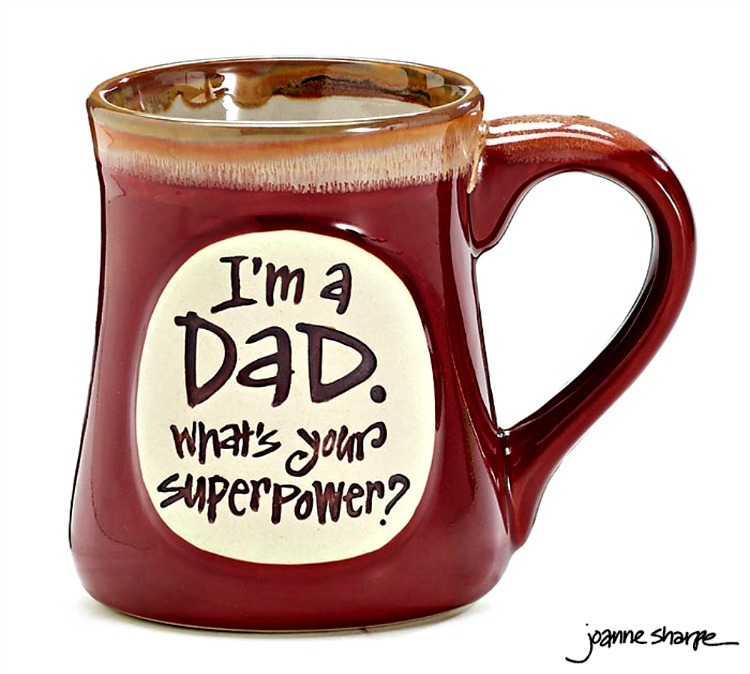 Dad SuperPower Mug by Burton & Burton. Hand-painted porcelain reads "I'm a Dad. What's your Superpower?" Measures 4 3/4"H x 3" Opening. Holds 18 oz. Comes in Gift Box. FDA Approved/Dishwasher and Microwave Safe. 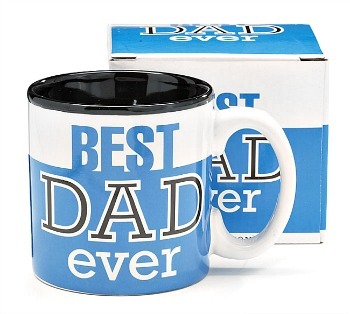 Perfect Gift for Dad.